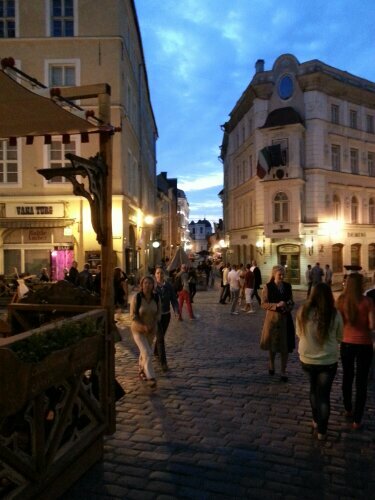 The kind of ‘half-way’ goal has been reached – the beautiful Tallinn. 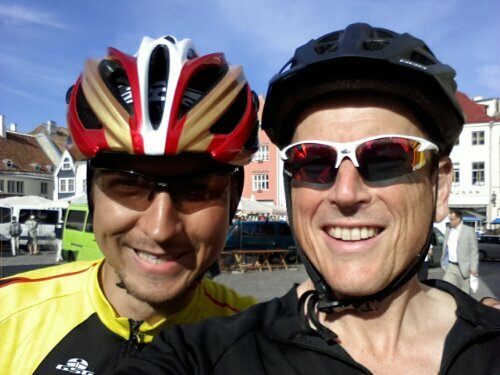 From now on I cycle in Scandinavia in Finland, Sweden and Norway. A sunny day through the fields with Thomas. Arrival in the Tallinn market square in glorious sunshine. Evening walk and dinner with Ranno and friends. Day 21. 107km. Kergu – Tallinn. Map and gpx. I opened my tent this morning and poked my head out. ‘WOW!’ A layer of mist was hanging over the water in the lake. The sun was evaporating it away as swirls of the cloud danced over the water. 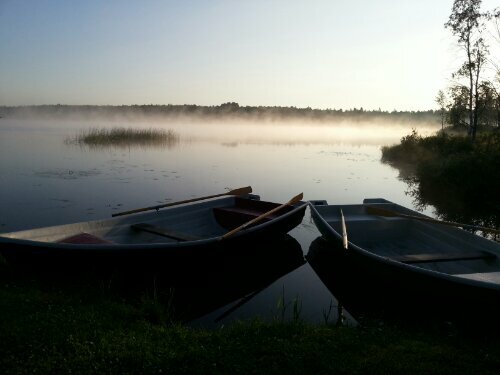 Yet again it was a lovely, sunny day – somewhat cooler than it has been, and perfect for rolling through the countryside of Estonia, passing fields of wheat, beautiful farmhouses, and shady forests. The last kilometres into Tallinn were exciting. I really felt the pride of achievement welling up inside. Seeing the church tower of the old town poking up ahead, and approaching it over the bumpy cobblestones, passing the tourists that had flown in and driven to there, a shiver ran down my spine. 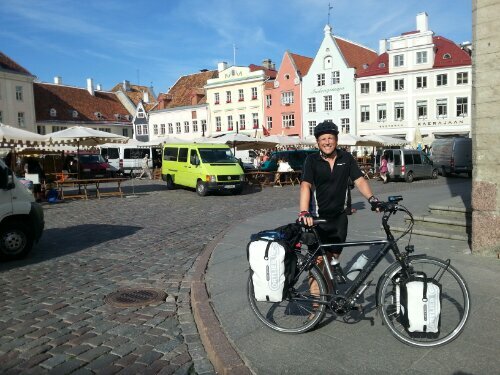 I have cycled all the way to Tallinn – and it’s a bloody long way from home. 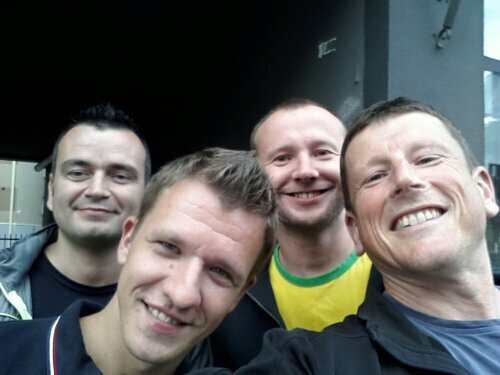 After our victory photos Thomas went on to his friend’s place in Tallinn. Thanks Ranno and his partner Alex for being so welcoming to me in Tallinn. We spent the evening with a friend of theirs, Ilya, visiting from Russia. 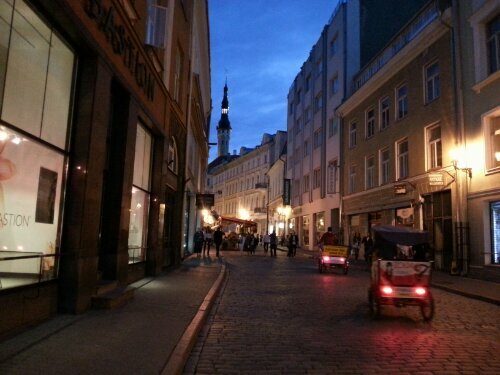 I grinned from ear to ear as we walked though the streets of Tallinn in the late evening, taking one spectacular photo after the next. It is a truly beautiful city. This weekend will be cycling-free. 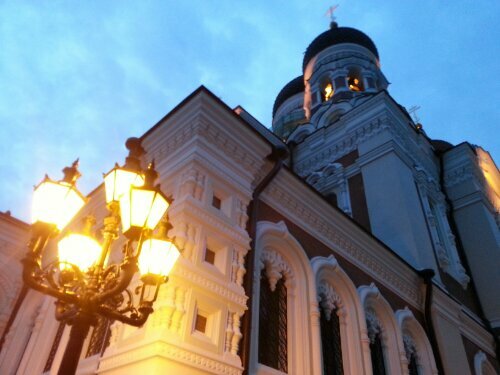 A holiday weekend in Tallinn and Helsinki. I have deserved it. Its great to read Your blog. I really hope You will achive Your goal!